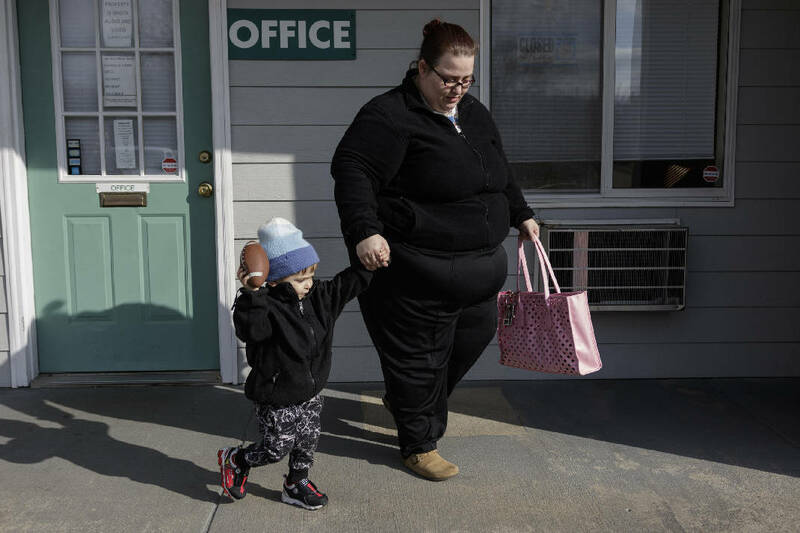 Rachel Galorath and her son Jackson Prouse leave the office of the Hamilton Inn, where Galorath lives and works, on Friday, Dec. 29, 2017, in Chattanooga, Tenn. Galorath and Jackson have been enrolled in the city's Baby University program for almost two years. Each person who enters the office at the Hamilton Inn on Rossville Boulevard gets a warm greeting and excellent customer service from property manager Rachel Galorath, and not just because it's the Christmas season. The 32-year-old mother of three has traveled a hard road from Northwest Whitfield High School, including stops as a waitress, in retail and in call centers. 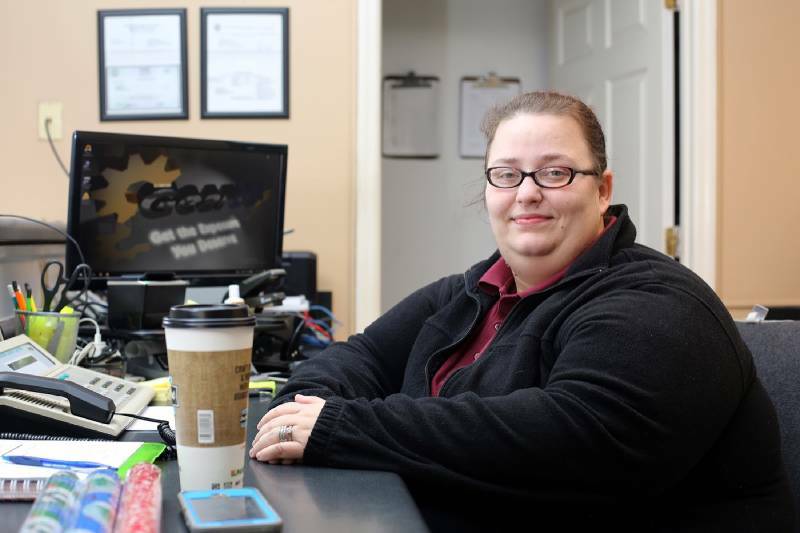 Without permanent housing three years ago, Galorath started working at the Hamilton Inn and put her experience in customer service to work. Her husband and 3-year-old child were able to move from Dalton, Georgia, to Chattanooga and live in the extended stay facility with her. Galorath and her husband met at a homeless shelter in Dalton. Today, they work opposite shifts by choice in order to provide care for their 3-year-old son. Two years ago, Galorath made the choice to seek help from Baby University, a United Way of Greater Chattanooga agency created by the administration of Mayor Andy Berke and operated by Signal Centers. The encouragement, mentoring and counseling she received continued her upward path from desperation to stability. "One of the things they told me was to ask for help when I needed it," Galorath said. "It's hard to ask for help, and I don't think a lot of people understand how hard it is to do." 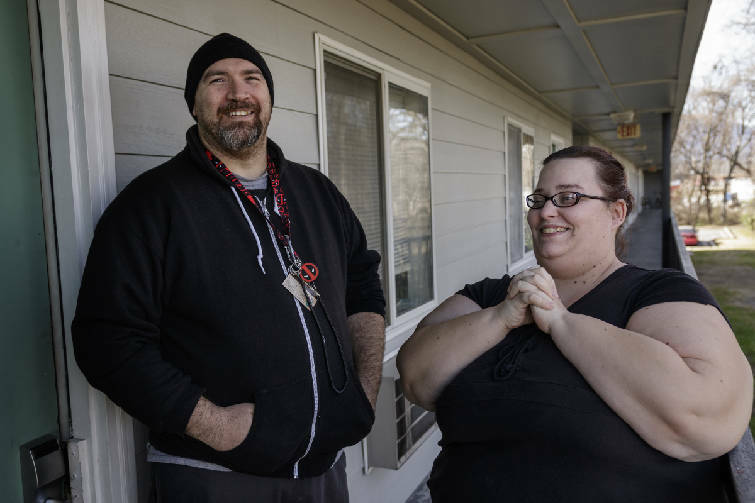 Rachel Galorath, right, and her husband, Shaun, pose for a portrait outside of their Hamilton Inn room, where they both live and work, on Friday, Dec. 29, 2017, in Chattanooga, Tenn. Galorath and her son, Jackson, have been enrolled in the city's Baby University program for almost two years. In June, Galorath asked for help to make a car payment. Because of a family issue in Michigan with her son from a previous marriage, Galorath had traveled there to bring her son to Chattanooga for the summer because the family members caring for him had become temporarily unable to do so. The expense of the trip meant that the progress Galorath had been making on clearing up late payments on her car loan stopped, and the family's only transportation was under threat of repossession. She asked Baby University for help, and she received the $484 needed for the payment. The money is the result of donations to the Neediest Cases Fund. Galorath has continued to make her scheduled payments since receiving the help. "It is important that people seek help to prevent a crisis," said April Rentzsch, Galorath's case manager at Baby University. "From our perspective, we want to have the kind of relationship where she is comfortable asking for help." Chattanooga Times Publisher Adolph Ochs started the Neediest Cases Fund in 1914 to help local people in financial need with one-time donations intended to help people get back on their feet. The charity provides the opportunity for readers to support their neighbors through financial donations during the holiday season. The United Way manages the fund, screens recipients and issues money to partner agencies. Services from Baby University are voluntary and free for expectant mothers and families. The agency provides mentoring/coaching, connects clients with additional resources, education and tried to build communities of families in different parts of the city. The goal is to have a short- and long-term plan with action steps that leads to stability in families. The agency is funded through a contract with the city of Chattanooga, the BlueCross BlueShield of Tennessee Foundation and Signal Centers. "Baby University helped me and helped me find other organizations willing to help," said Galorath, whose husband is also working with Baby University. "They pointed me in all the right directions and helped put me in the good place I am today. I had to get my son here, and Baby University made that happen." Galorath first learned of Baby University when representatives of the agency dropped by the Hamilton Inn to leave informational pamphlets. Her conversations with agency personnel convinced her to seek help, and now Rentzsch points to Galorath as an agency success story. "I hope she will be in an even better place in five years than she is now," Rentzsch said. "She has only been in our program for a short time, but she has made great strides. I know she worked hard to get her promotion at work and her job is important to maintaining the level of sufficiency she has now." To donate to the Neediest Cases Fund online, visit timesfreepress.com/neediestcases. Contributions through December will be acknowledged in Sunday editions of the Times Free Press. Rachel Galorath poses for a photo at the Hamilton Inn on Rossville Boulevard in Chattanooga, Tenn., Tuesday, November 27, 2018. Galorath, who works at the Hamilton Inn, was one of several individuals to be chosen as a recipient of the Neediest Cases fund.